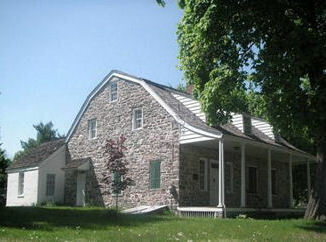 Home of the Historical Society of Walden and the Wallkill Valley–Welcome to our new Blog! Welcome to our History Board! Our Society is open to the public and is a nonprofit organization devoted to preserving local history. We are chartered by the State of New York. We invite you to post your local history comments and questions on our new blog so that we can all share the information with a wider audience. c itizens bought the former home of our town’s namesake, Jacob T. Walden. At the time it had been divided into apartments and has since been restored, preserving much of the original structure including fireplaces and a beautiful staircase. The Trustees meet monthly to set goals for both the Society and house preservation, along with maintenance and work schedules which continue throughout the year. The Society hosts free, open-to-Members and the Public, talks and presentations on the 3rd Wednesday of most months (although not January, February). We also host special events throughout the year including Local History Day, The Spring Tea, Art on the Lawn, Picnic on the Porch, Annual Yard Sale, Annual Christmas Tea & Open House. The House is also open for tours and there is a nice virtual tour on our website. Please consult our website for further information–the calendar is updated monthly. We welcome new members–our only requirement is that you love History! A membership also entitles you to The Walden House TATTLER, published twice each year and distributed free to Members. Membership is open to anyone interested in local history preservation. Annual Dues are $15 per person / $7.50 Student (K-12) / $20 per family. We also offer a Business Membership level at $50, which as our thank you, provides a free business card size ad on our website. Please visit us at http://www.thejacobwaldenhouse.org and join today! There is a program coming up on May 21 at 7:30 PM at the Jacob T. Walden House by Ray Kelly–Slides and talk on the Newburgh-Walden Trolley. I’m working on a project detailing the history of dairy farms in Orange County. Do you have any photos, bottles, information that might help me? Please let me know.